Incredibly, next year will mark the 40th anniversary of RCS opening its doors with the very first version of the legendary Selector music scheduler, as invented by the company’s founder, Andrew Economos. The impact that Selector had on radio all around the world can only really be understood by those of us who worked in the pre-Selector and post-Selector eras! From crude card index song rotation systems, to – for many of us – our first exposure to computers, and the discovery of a tool so sophisticated that it literally changed the sound of radio stations overnight. Listeners may not have understood why their favorite radio stations suddenly sounded different, but they sure liked what they heard – and that was reflected almost immediately in audience figures. Some PDs and DJs feared that control was being taken away from them, but most of them soon realised that exactly the reverse was true. Now a PD could ensure that the radio station in their head, became the radio station that went to air. Now, songs rotated beautifully; there were no ugly clashes between styles, tempos, textures; the whole sound of the radio station flowed like never before. Wait – rewind. First exposure to computers? Well remember that availability of, what were then called microcomputers, didn’t really begin until 1977. That was the year of the Apple II, the Commodore PET and Tandy/Radio Shack’s TRS-80. It wasn’t until 1980 that the era of the off-the-shelf personal computer really started and the first IBM PC wasn’t released until 1981. The earliest version of the IBM PC that I ever used had two 5¼ inch floppy disks – with no automatic backup (I shudder remembering some of the horror stories that occurred with that arrangement). Eventually IBM added a 10MB hard drive in place of one of the floppy drives. What on earth were we going to do with that whopping 10MB? But at this stage, apart from gaming on machines like Atari and ZX Spectrum, very few people had their own personal computers, which is why I point out that in Selector’s early days, for many of us, this amazing tool was not only a way of revolutionizing the sound of our radio stations, but it also allowed us to be pioneer computer users! It certainly seems funny to think of that 10MB IBM PC hard drive in comparison to the computer power most of us carry in our hands every day now. The storage in a typical smartphone, for example, can between 64 and 128GB. A fairly standard laptop these days, can have half a terabyte or even a whole terabyte of storage on board. And, of course, these statements will also seem amusing 10 years from now! All along the way, as computer power expanded, RCS was there, ahead of the curve, expanding the capability of Selector exponentially. And where this incredible expanding computer power was perhaps even more useful, was the advent of studio automation – exemplified by NexGen and Master Control, and now the world-beating Zetta system. Zetta is doing “stuff” now that could only have been dreamed of way back then. Some of our ideas were so ahead of their time that we had to wait for computer capability to catch up. RadioShow, for example, a system to permit synchronous graphics alongside a radio station’s audio output, was born in the days of dial-up modems and only a small percentage of the population even having access to the internet at all! Since those pioneering days, RCS has continued to push the envelope wherever it can. In the early days we were often referred to as “The Selector Company” – an epithet that reflected where the bulk of our sales came from. An epithet of which we were proud, by the way, as “Selector” became almost a lingua-franca at radio conferences all around the world. If you couldn’t speak Selector, you were on the outer rings of the radio galaxy! These days RCS products include futuristic mobile and cloud-based solutions and our brands are used in more than 14,500 radio stations, TV music channels, cable companies, satellite music networks and internet stations worldwide. 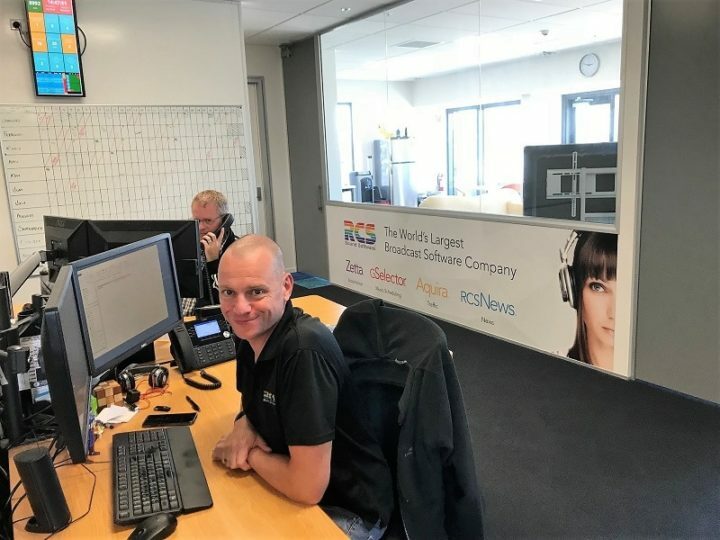 With more than 800 professionals working from 23 wholly-owned offices around the globe, we are proud that RCS has maintained its position as the world’s largest broadcast software company for all this time. But we will never rest on our laurels. We continue to be passionate – consumed even! – about customer service, quality and innovation. And these days, the RCS family of companies is bigger than ever: AirCheck, Florical Systems, Mediabase, Media Monitors, HitPredictor and Test All Media, all providing unique solutions for the broadcast industry, in whatever form, and whatever platform. So now the big question is how should we celebrate our 40th Birthday? 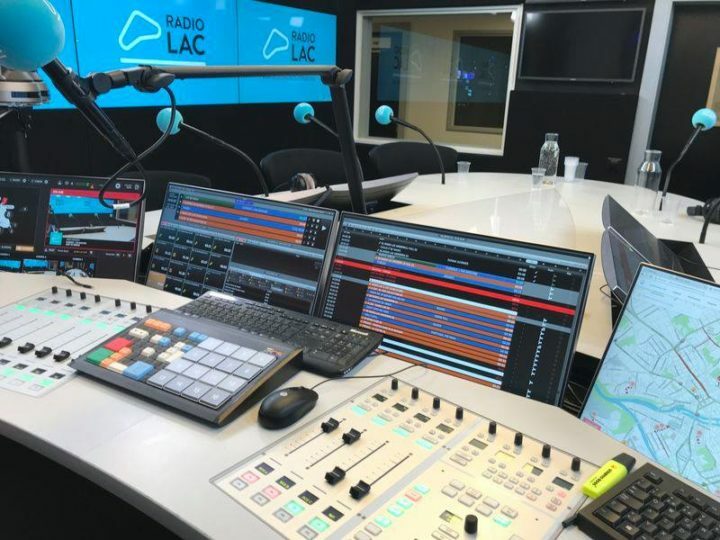 Welcome Radio Lac – a new Zetta user. The studios are located in downtown Geneva at the premises of One Fm. Radio Lac offers regional news, opinions and debates. We love new toys at RCS. 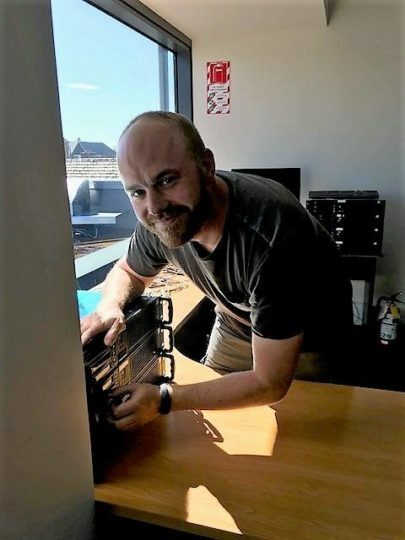 Andrew Collins in our New Zealand office was snapped pre-configuring Zetta, GSelector and Aquira for a shipment to a client. Well done Andrew! 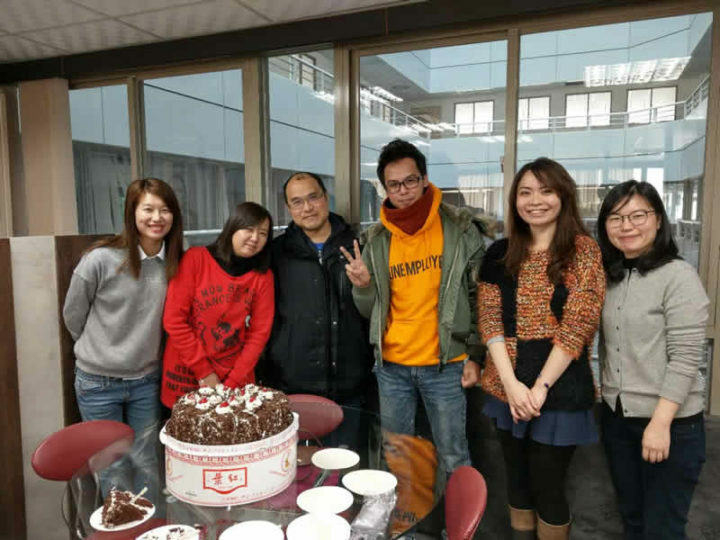 RCS was snapped visiting Gold FM Group of Taichung with the Taipei famous black forest cake. A fun visit! Simon had the chance to try out a new hairdo! When you’re in a small, medium or large enterprise broadcast operation, the word automation can mean different things to you. It can be everything in one box. Or, it can be on multiple sites to scale and distribute services horizontally. Perhaps you want to see everything that’s happening, all on one screen. Too much information? Then you just want to look at the piece you’re working on now. Maybe you’ve got a workflow that functions really well, too bad your automation system has other ideas. And how many times have you had to dash back to your computer when something went wrong, or missed an opportunity because that creative moment came when you were on the long commute home? The great thing about RCSWork’s Zetta is none of that matters. Its modular design, combined with an ability to scale, integrate and create, perfect workflow, is limited only by your imagination. Zetta has a lot of moving parts to work its magic. Behind the curtains, each function has a launcher app, which will restart a service if it stops unexpectedly. In other words, the Sequencer is separate from the audio playout, and separate from the user interface as well. Your workflow should be what works for you. The RCS Living Log® offers an advanced level of integration which enables an infinite variety of workflow concepts. And there’s no need to wait for a refresh, because updates are instantly reflected everywhere. We know, the most carefully crafted automation schedules can crash and burn for any number of reasons. But receiving a text message during your lunch break shouldn’t be cause for alarm. With Zetta2GO on your smartphone or tablet, you can control your Zetta Automation/Playout system from any place there’s an Internet connection. Then you can finish that burrito. 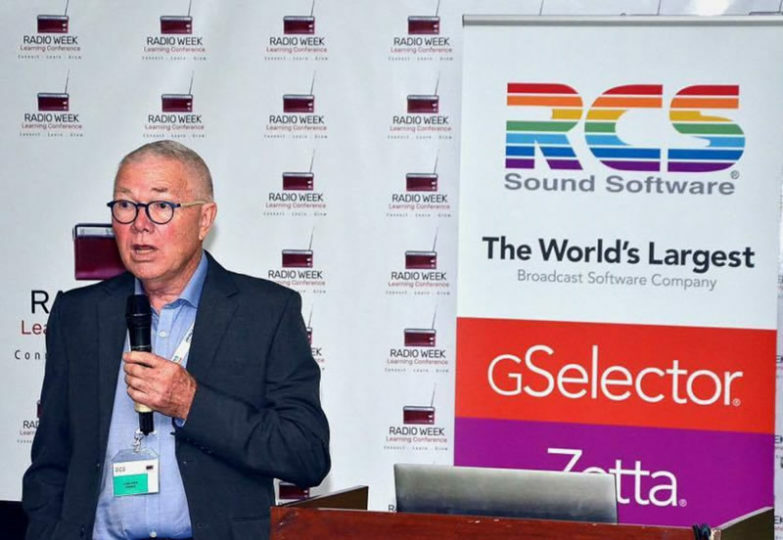 One of the biggest RCS success stories, outside of its core broadcast software offerings, such as GSelector, Zetta, RCSnews and Aquira, is a company called Media Monitors. Media Monitors is the nation’s leading network and local monitoring company, serving the media and advertising industries with near real-time intelligence on radio, television, cable, print and display internet via a fast and easy-to-use web platform. Information can be tracked by many parameters and is used by clients to increase profitability and improve accountability. The data is often used by clients as a powerful tool for tracking competitive advertising. On the radio side, Media Monitors tracks millions of commercials every day – in all the major markets across the USA (and in other select markets around the world). Such has Media Monitors grown, that for radio, Media Monitors is now the only provider of spot occurrence data in the US. Accredited since 2008 by the Media Rating Council (MRC) for its US radio spot data, Media Monitors has now also been awarded MRC accreditation for its US television spot service too. The MRC is a non-profit industry association of leading television, radio, print and Internet companies, as well as advertisers, advertising agencies and trade associations, whose goal is to ensure measurement services that are valid, reliable and effective. Measurement services, such as Media Monitors, who seek MRC accreditation are required to disclose to their customers all methodological aspects of their service; comply with the MRC Minimum Standards for Media Rating Research as well as other applicable industry measurement guidelines; and submit to MRC-designed audits (carried out by a top CPA company) to “authenticate and illuminate their procedures”. Part of my job, apart from looking after the International operations of RCS and Media Monitors, is to ensure that our processes at Media Monitors are always in compliance with the rigorous standards required to gain the award and then maintain continuance of this highly prestigious accreditation. Note: Outside the US, Media Monitors tracks a variety of media in major markets including Canada, Ireland, Australia, India, New Zealand, Malaysia and South Africa. Media Monitors holds multiple patents for its monitoring and data modeling technologies. Proper reconciliation of aired material – be it songs, spots or anything else – has always been an important part of radio operations worldwide. In many countries, for example, commercials will be scheduled by the traffic department and aired by the playout system; but until they are properly reconciled back to the traffic system, the billing will not be performed, leading to a loss of revenue. Similarly, song performances not submitted to GSelector will be missing in association reports which, in turn, could lead to a fine for the offending station. Thankfully, Zetta has benefited from real-time live log reconciliation with GSelector for many years. Any time a song, link or spot scheduled in station’s log gets fired, the corresponding event’s status in GSelector gets set to ‘playing’ (and ‘played’ upon completion). This benefits the programming department, as generating schedules for tomorrow will take into account what happened today. As a safety net, Zetta also provides an optional full-day reconciliation feature which pushes entire past day’s schedule over to GSelector at day’s closing. There has been a missing piece in the Reconciliation puzzle where on-air playback outside of a station’s log (via the Sequencer) was not being reconciled – specifically, playback triggered from Hot Keys, Stacks or Z-Player has never been reported to GSelector. Zetta 4.3 bridges this gap by offering a robust solution that will satisfy the needs of even the most demanding clients worldwide. This will be the mode used by default for any newly loaded Hot Keys, Stacks and Z-Player modules. Should the site Supervisor choose to ban a specific user from toggling the mode, a new user right “Toggle On-Air/Audition Button” is now available as well. However, firing audio from Hot Keys while in the “On-Air” mode is not sufficient – a few other tweaks are needed. 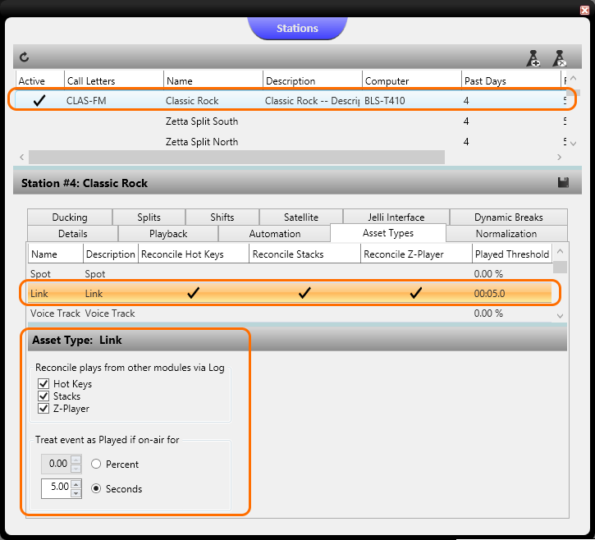 Under Station Configuration, pick a station and select the Asset Types tab; there, select the Asset Type you want to configure Reconciliation for and choose modules you want to reconcile playback from: Hot Keys, Stacks and Z-Player. You can also define minimum playback length or percentage of runtime that constitutes “on-air playback” – when met, the aired event gets injected into the corresponding station’s log (on playback stop if threshold met), with proper airtime and runtime, to be reconciled to GSelector right away! Once everything is set up properly, any audio fired outside of the Sequencer will be injected into Logs with a green flag indicating a play in Hot Keys, Stacks or Z-Player. If you hover over the icon it will tell you what module was it injected from. Should users prefer hiding any injected events, they can do so by unchecking the ‘Injected’ option under the Logs | Filter menu. While there are many benefits to using Zetta integrated with GSelector, for those who want to reconcile via a flat file, the functionality explained above will work just as well. All of this (and more!) is available in Zetta version 4.3. 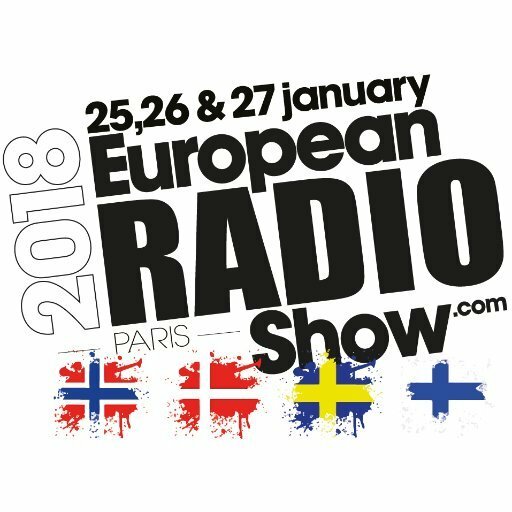 RCS will participate in the European Radio Show in Paris 25, 26 & 27 January. For 15 years now the European Radio Show has become a broadcasting tradition. This year, the Scandinavian countries will be the guest of honor during the three-day show, spotlighting that regions radio professionals. It is predicted that 6,000 visitors will enjoy the show and the beautiful city of Paris. 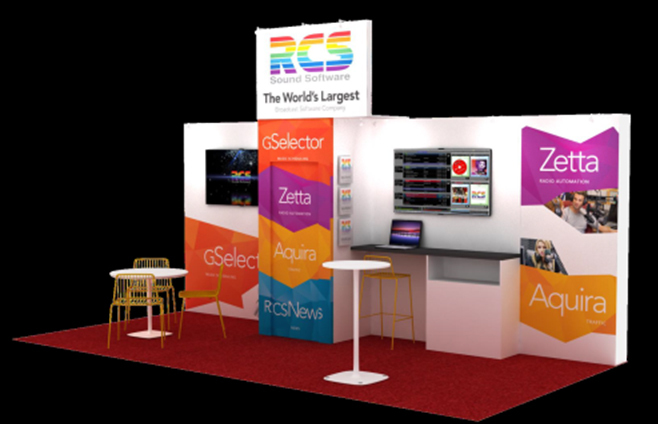 RCS will highlight our award winning Zetta playout software, world music scheduling leader GSelector, and our traffic and news products. RCS also has the honor of providing the radio broadcast playout from the show. The radio channel will broadcast via streaming and also in DAB in Paris. Those were the words of L. Frank Baum who, along with a partner, wrote the Wizard of Oz. And yes, this ride has also come to an end. When I took my first step onto the yellow brick road of RCS that was created by Andrew Economos, I truly didn’t think that radio program directors would use computers to schedule music. And I surely knew that owners wouldn’t spend $20,000 for a computer to do the work that their PDs were already doing with index cards. That all changed with the PC and the lesson I learned is that time makes things more powerful and in many cases more reasonably priced. 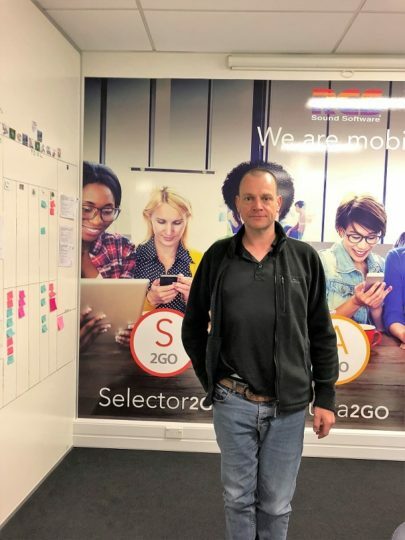 Spending more than 10 years working in radio, then 25 years as an international radio consultant and now 16 years with RCS and Media Monitors, I can truly say that I learned the most about marketing, technology and people working here. Thank you. There were some scarecrows, and tin men, and cowardly lions along the way, but in the end, I’ve realized that there is no place like home. Radio has been my home. Radio is still an amazing concept to me. Every day as you crank up your computer and put together a log, you create something for people. You are designing the soundtrack of their lives. And you are making someone laugh with your jokes on the air. And you bring them the news, no matter what time of the day or night. You should be proud of what you do. There is no obvious start or concrete finish in technology. The advances become norms and the norms become obsolete, so someone has to come up with new ideas. That ever-changing nature of media and broadcasting is what makes it exciting. Let the new idea speak to you and give it some breathing room. It could be a great idea. Don’t get sucked in by the man behind the curtain who claims to have all the answers. I have been fooled by the guy who said he had all the answers with the “next big thing”, only to find out that no one really wanted what he was selling. You may be asking, why retire? Well, it’s time for me to put a full-time effort into writing books and telling stories. I have always been a writer and that skill always helped me think and communicate in radio. I don’t consider this to be a retirement from work, but more like a chance to attempt to become a great writer. Proficient writers and skilled radio people have to fully focus on what they do to achieve great things. Remember that. I read a piece recently that covered the six life lessons learned from the Wizard of Oz and I think they are all true: Never give up, Good friends come in the unlikeliest places, Never stop dreaming, You can accomplish anything, Real courage is facing your fears and There is no place like home. Mr. Baum was right, “everything has to come to an end…” but once my next book is completed, I will start writing another one. I’ve got millions of ideas. 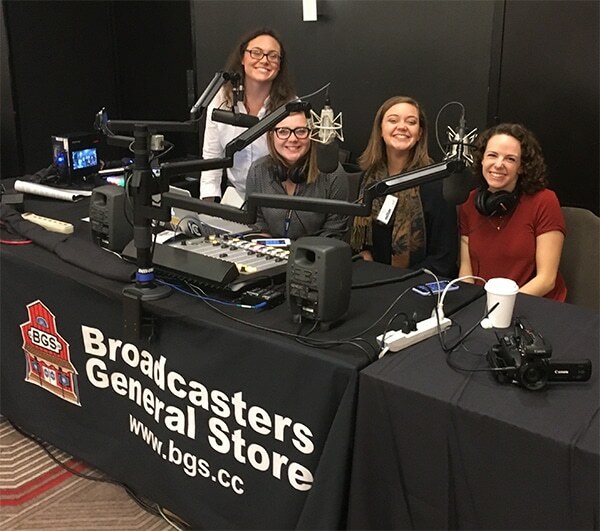 The WICB Ithaca College morning team doing a live broadcast broke out into a spontaneous Zetta cheer when Criss told them he was from RCS and had a table next to them at the IEEE Broadcast Symposium.